Preheat oven according to the cookie dough directions. Line a baking sheet with parchment. Take two tablespoonfuls of dough and smash it flat in your hand to form a disc. 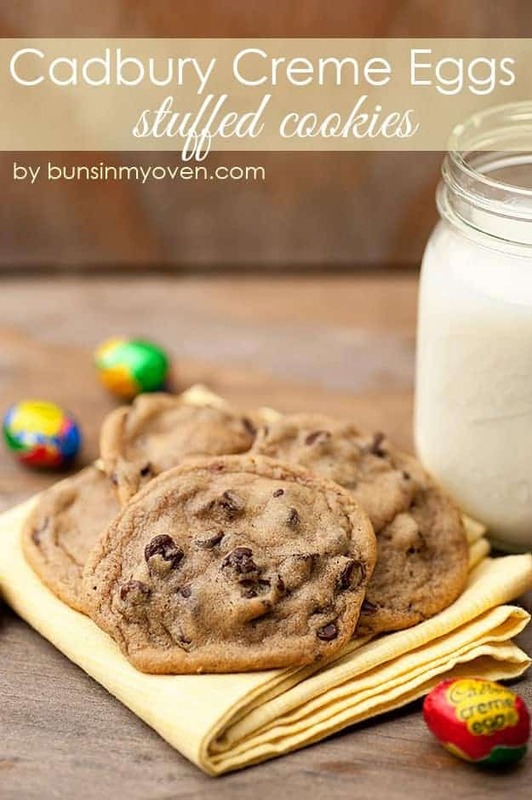 Place an unwrapped mini egg in the center of the dough and fold the dough up around the egg to completely enclose it. If you leave any gaps, the egg will ooze out. If it’s completely covered by dough, you won’t have a problem. Repeat for as many cookies as you’d like to make.